American and British Voice "Actors" Needed ASAP!! Work on the BOBP Career is heating up and the time has come to record our radio calls for Bodenplatte and put a western spin on our radio frequencies! I would like to find several voices for American and British pilots, airfields and spotters. Perhaps as many as 7 unique voices per nation. 1. You will need a decent mic and use a simple audio recording program we will provide to record in the format we need. Recordings should be clear with no background noise. 2. The total needed recordings for each voice is a couple hundred phrases, but don't let that scare you. It should just take you a couple/few days to record them and it's fun. The acting part is minimal, you're not competing for an Oscar. 3. No deviation from the script or format. Doing so will slow us down and hurt the project and no campaigning for changes to our radio system. We are already aware of changes the community desires, but we have no time or resources to deal with that now. Show up to do the job and be a permanent part of IL-2 history. 4. I will provide you with all the information you need to do the work. If you are chosen to help you MUST COMMIT to working quickly and efficiently and finishing the work. No flakes allowed. 5. You should have a fairly youthful voice that sounds like you are in your 20's or early 30's. You don't have to be that age, but your voice should not sound like an old man. If you are in your late teens that may also be helpful. There were a number of young pilots in the war. 6. For American voices I hope to have a few different accents (subtle, not strong) such as southern, mid-west, New York, Texas etc. 7. For British voices I also hope to have a few different accents to add some authenticity, but I am not an expert on them. 8. A military background in combat comms may be helpful, but not necessary. 9. There will be some small compensation for your help and you agree to a complete, irrevocable release for us to use your voice in IL-2. If you are interested in helping please post a note here in this thread and I will contact you soon with the details. Please state any accent you may have and where you hail from. You don't have to have any radical sounding voice, just need regular (young-ish) sounding people, but a little variation in them will add to the immersion. ATTENTION: If you would like to help record American and British voices for Battle of Bodenplatte please download the following archive and follow the directions inside. The deadline to turn in your recordings is January 31, 2019. Thanks to all who have volunteered and if you have any questions please post in this thread. The work is not hard, just takes some time. If you are going to take up the work please sound off so I know you are on it. The more voices we have the better. I hope to get 5-7 sets completed for both American and British by the end of the month. My apologies it has taken so long to get this going. Lots going on. British, early 30s, from Kent: South-East England. have a mic setup too. I'm 35. I've got military comms experience. I can do a "clear American" accent or southern accent. I was raised all over the south but I only turn the accent on when needed. Large numbers in 2TAF including three squadrons of Spitfires. Also lots of Canadians needed for RAF. British, 25, Southern 'posh' accent with aviation radiotelephony training for both military and civil. Would love to help out! Looking good guys. Keep em coming. One or two Canadian accents for the RAF is ok. I'm from the mid-west US, Kentucky specifically, with no southern twang. I just turned 19, and I have a voice. I do a small amount of streaming, but no experience with military comms before, but I'm sure I could learn. "Prepare to take off, eh? You hosers!" I'm interested in this, would love to be a part of IL-2 history. I'm a 20 year old from just west of London (don't have the London accent, sort of posh) have a more youthful pitch to my voice. Have had very basic training with radios in military and civilian manner. Colorado, US. 21, I don’t have much of an accent if any. I have plenty of military comms experience (Radio Telephone Operator for my IRL platoon) and some recording experience, nothing even close to professional though. If you want I can provide a voice sample from my mic. I would love to help out if I can! From North Yorkshire (England), I'm 17. I've got a decent Yorkshire accent (apparently). I also have some experience with milsim radio comms. I'm 27, born in Midwestern US and currently live in New England. I have done some voice work for the Submarine game "Cold Waters" as the Fire control Officer, and have some experience with using radios in aviation. Would love to jump in and help out! EDIT: Wow, I guess there's a first post for everything! Englishman here, London born. it seems that nearly all of the recordings of pilots from WWII RAF that I've heard speak with *pronounced" accents there are of course exceptions, but even commonwealth pilots and crew seemed to be extremely well spoken. I'm American, in my 30's, from the East coast of the U.S.
Additionally, I was in the Civil Air Patrol (United States Air Force Aux. ), and trained in radio communications and Aviation. I was also a firefighter. Count me in. American, non-smoker, early 30's from US West Coast (Cali). Can refrain from using the word "dude" upon request. Been handling frequent radio comms in law enforcement capacity for a decade now. Many. Where three czechoslovak fighter squadrons RAF - 310th, 312th and 313th - and one bomber squadron - 311th. And many pilots served in english and polish squadrons too. For example squadron leader Otto Smik (general in memoriam). By the way - czechoslovak pilots were in Russia too, they were flying with La-5FN. Did great part in Slovak National Uprising in 1944. I'd love to participate. I'm American, in my early thirties, and grew up in a southern metropolitan area. I have a relatively deep voice (so I'm told) and my southern vocal traits are limited to some terminology (versus accent). I messaged you Jason (I missed that last part about posting here), but I'm totally game to do VA work. 28, American. Slight Boston accent. Have a nice audio interface and mic. Happy to be of service! Professional VA with a British Accent(s) here, have my own professional recording setup. Late twenties, though I usually play parts of much older gents. Accent is variable as required but I definitely show my south-country, bog standard Oxford tendencies if left to my own devices. I'm down. I've wanted to contribute for a while. I have a midwest accent (neutral) but have lived in California for almost thirty years - picked up phrases but probably not any accent. Edit: I guess I was supposed to say cop, pilot, veteran combat aircrew. I know my way around comms. I'm definitely interested, I'm 17 from Herefordshire, if I was alive in this period I have tried to sign up as a pilot, so I'd love to be part of a simulation of a period my family fought in way back when. I'm from Montana originally, but I spent a good chunk of my childhood in Illinois, and I've since lived in California and North Carolina as well. My accent is fairly neutral, but I can put a bit of a Texas spin on it if need be (I can also do several accents from around the world, including a few from the UK). Once I have a list of volunteers we may have a meeting on TS to discuss the work and hear your voices (maybe have a little try out) to match up what type of voice I want you to record i.e. Pilot, Airfield or Spotter. This work will hopefully be completed by the end of this month. So if you are interested let me know ASAP. UK English (well spoken oxfordshire accent. Here. am already in a radiomod for BoX. can send samples if needed. I'm 24, with still a pretty young sounding voice. I'm from texas but I've spent a lot of time in england and my normal english is basically unaccented middle-american, though I can potentially do a good texas accent as well as some british or scottish accents with only a little practice.  Been playing Il-2 since I was 10, and I'd love to help! I have a strong southern accent if you need one. Scottish (Glaswegian, not so thick), late teens, probably not so far from some of the younger Scot pilots (602 and 603 squadrons coming to mind). 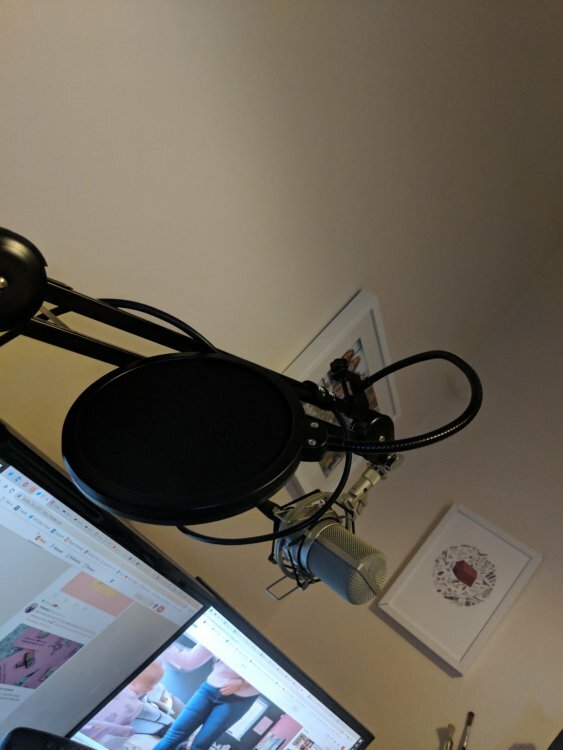 I have access to a fairly decent mic and pop filter, would be glad to help! But not too strong of a southern accent.